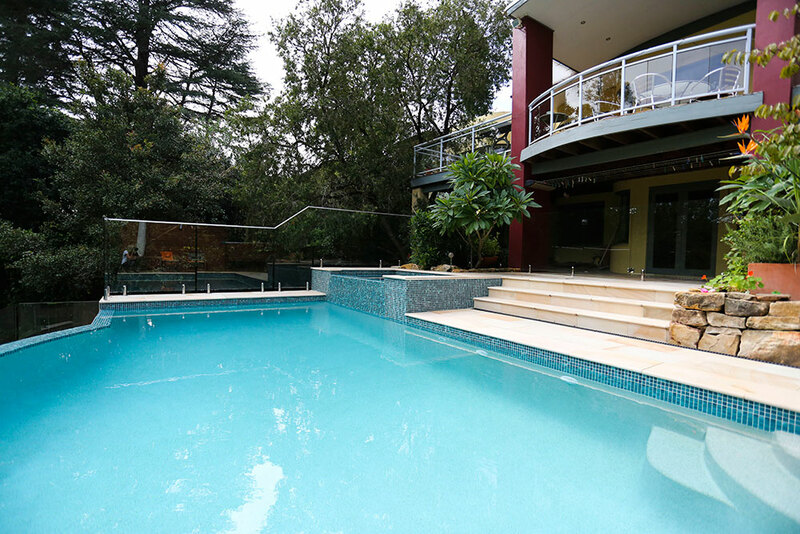 Located in the heart of Sydney’s Hills District, this beautiful above ground family pool and spa integrates beautifully with the home. The wet-edge gracefully mirrors the balcony above and has become the highlight of this lovely tropical-style backyard. 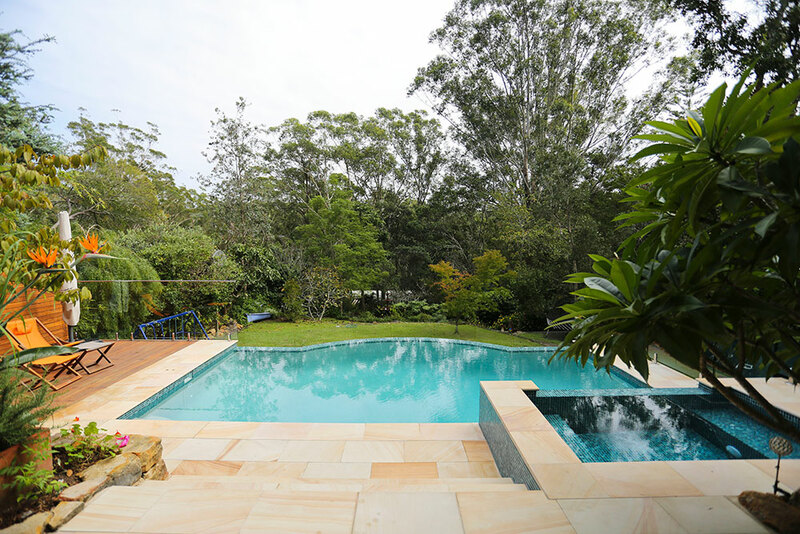 The pool is surrounded by Natural Stone coping with timber decking providing a relaxing, pool-side lounging area for parents. 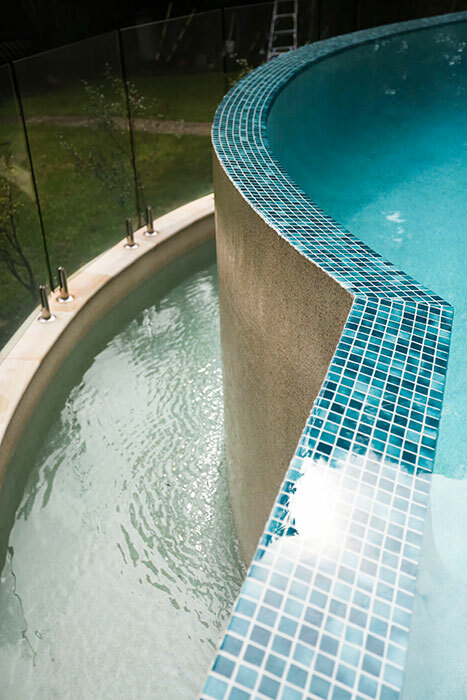 Border-line tiles around the edge of the swimming pool provide a striking contrast in Resort White Pebble with Green Bay Glass Fleck. 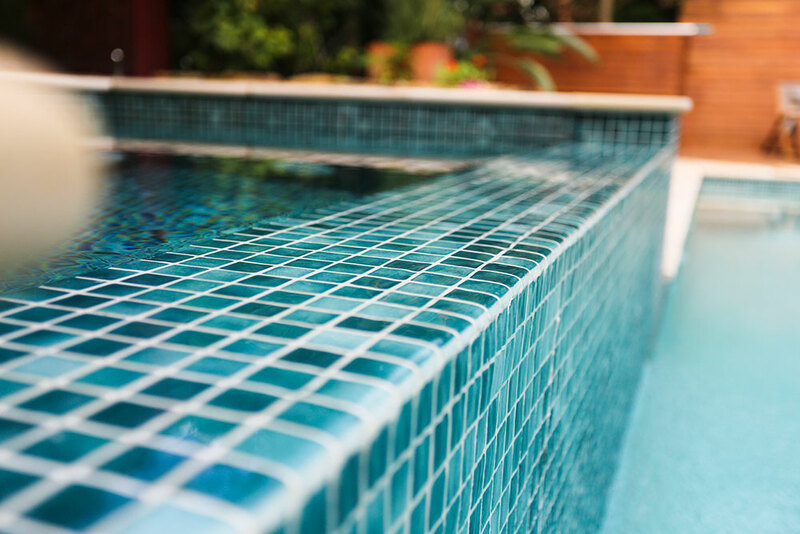 The fully-tiled, raised spa pool spills over into the larger pool, is gas heated for year round enjoyment and features Venturi Spa Jets. 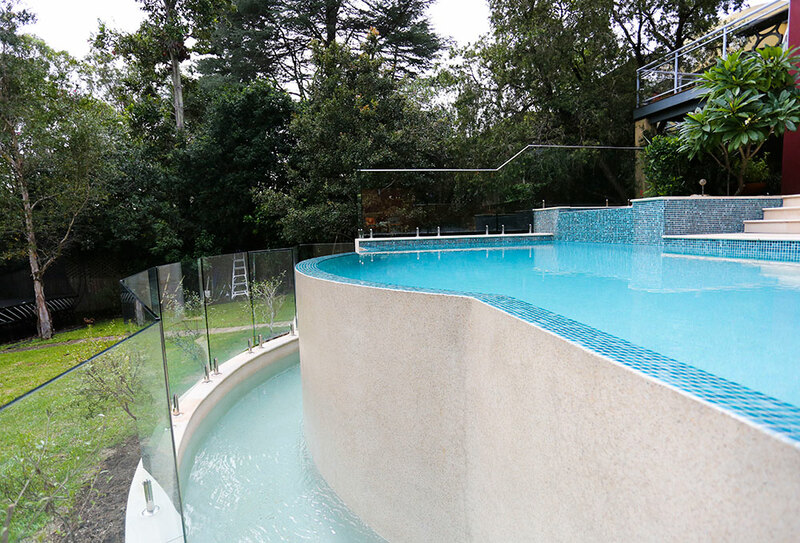 Clever use of frameless glass fencing means the backyard and poolside area feel united with this Hills District home. 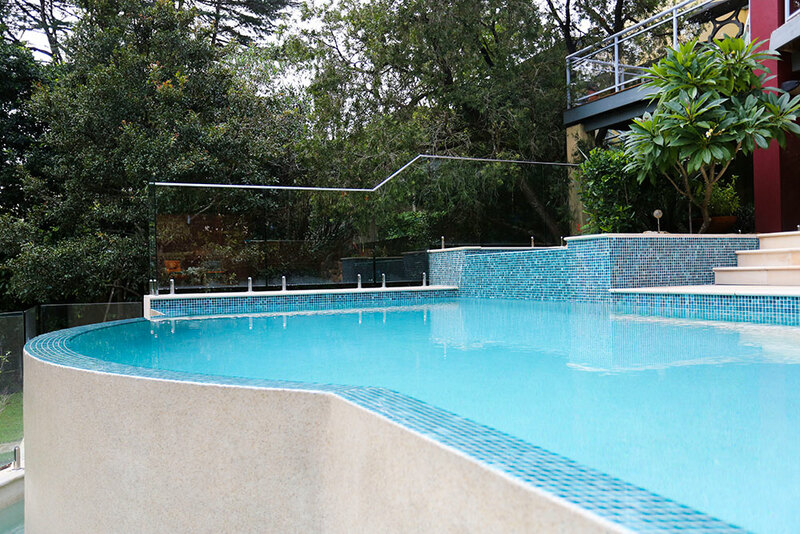 Over 60 swimming pools featured in our portfolio. 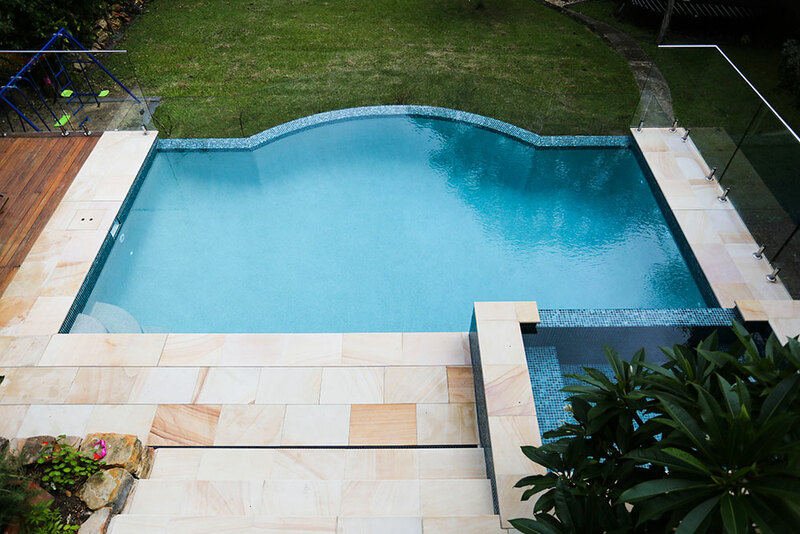 View photos, descriptions and detailed specifications of recently completed in-ground concrete swimming pools: lap pools, spa pools, plunge pools and more. All offers and terms and conditions displayed at Crystal pools office.